Glass lens 143mm diameter with 20mm front projection. 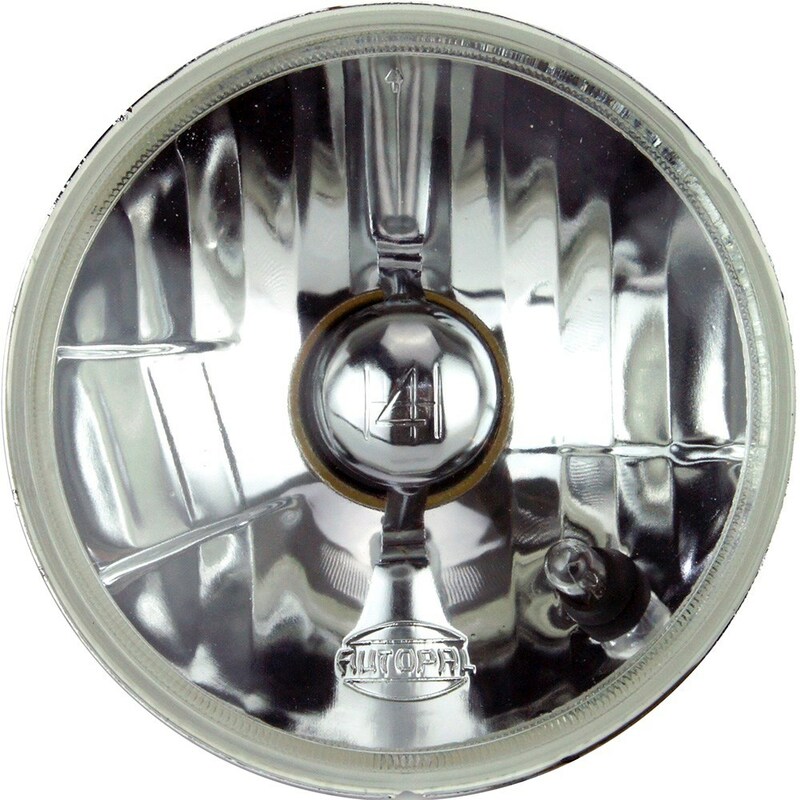 5 watt capless sidelight bulb included. 101mm x 34mm open size. 2mm thick. Four 7mm diameter countersunk holes. 138mm x 44mm open size. 2mm thick. Six 5mm diameter countersunk holes.